Combat Commander Gladius Dagger - 1065 Carbon Steel | BUDK.com - Knives & Swords At The Lowest Prices! The Combat Commander Gladius Dagger may be small, but it packs just as much punch as its larger cousin - the legendary Roman Gladius. This 9 1/2" dagger-sized version mirrors the iconic Roman sword - made famous by generations of fierce gladiators - in shape, overall design and features. 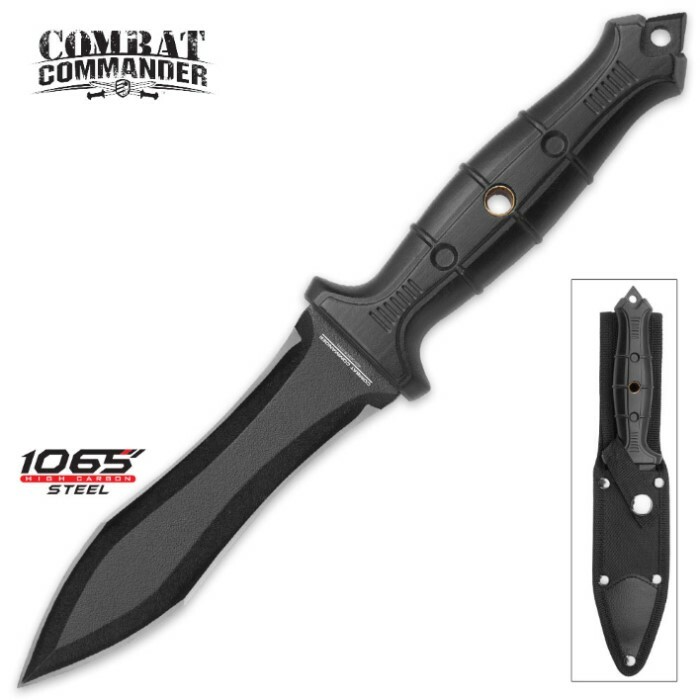 It boasts a potent black 4 3/4" double-edged 1065 carbon steel blade that stays razor sharp longer than those forged from ordinary stainless steel. 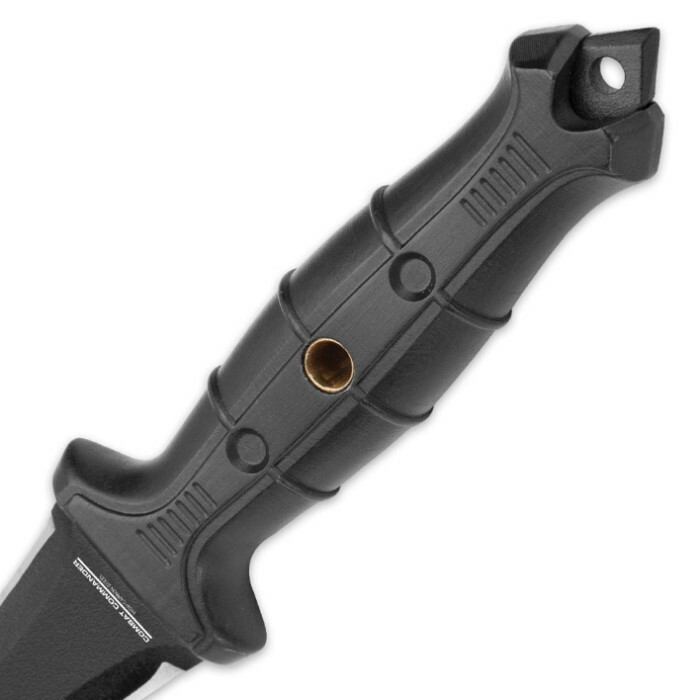 The slip-resistant rubberized TPR handle is ergonomically molded, which, combined with its well-balanced weight distribution, makes the Gladius Dagger a real pleasure to wield. 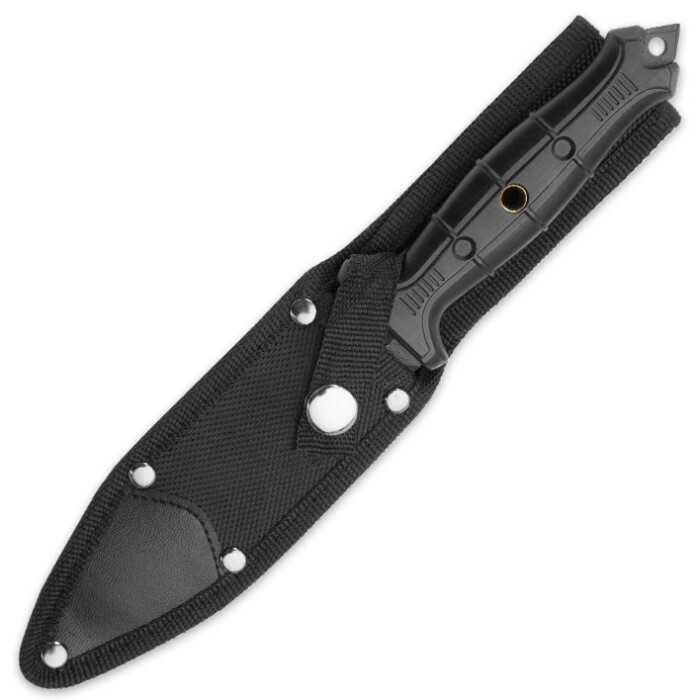 It includes a tough nylon belt sheath with a reinforced leather tip for easy carriage and protection through decades of even the harshest conditions. You don't have to be a gladiator to fall in love with the Gladius Dagger. Wield it once and you're hooked! GOT ONE AND IT'S VERY COOL. ALSO HAVE THE TWO-PIECE 12", 7" PIGGY BACK. NOW LOOKING FOR A 16" - 17" VERSION FOR MY COLLECTION. This is a beasty knife. well balanced, keeps a good edge, and WAY thicker of a blade than i expected!